Climate-change negotiators from around the world are on their way to Cancun, Mexico for the 16th Conference of the Parties (COP 16) to the United Nations Framework Convention on Climate Change (UNFCCC), which runs from Monday, 29 November, through Friday, 10 December. Ecosystem Marketplace will be providing daily coverage of events relating to land-use, forestry, and voluntary carbon. 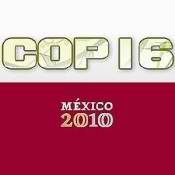 26 November 2010 | Climate-change negotiators from around the world are on their way to Cancun, Mexico for the 16th Conference of the Parties (COP 16) to the United Nations Framework Convention on Climate Change (UNFCCC), which runs from Monday, 29 November, through Friday, 10 December. Visit the Ecosystem Marketplace Forest Day 4 table to pick up your copy of our latest reports tracking global payments for ecosystem services and environmental market activities. Winnie Lau of Forest Trends’ MARES program will participate in this panel to discuss the importance of mangroves and other marine ecosystems in carbon sequestration and the provision of other ecosystem services. Visit the Ecosystem Marketplace Forest Day 4 table (booth #37) to pick up your copy of our reports tracking global payments for ecosystem services and environmental market activities. Catch up with the Ecosystem Marketplace and Forest Carbon Portal team, who will be on-site to discuss the markets’ latest news and trends in project types, standards, methodologies and REDD — and learn more about your projects! Michael Jenkins, President of Forest Trends will participate in this panel discussion. Forestry features prominently as an offset category in California’s draft regulation for its cap-and-trade program. The draft regulations contemplate recognition of credits from international REDD activities. An independent initiative to develop standards for “nested” project accounting for possible REDD programs in Mexico – most likely implemented at the state level – is being undertaken by the Climate Action Reserve. This panel, moderated by Ecosystem Marketplace Director Katherine Hamilton, explores this effort and the development of standards for REDD in Mexico. PANEL PRESENTATION: The Voluntary Carbon Markets after 2012: Losing ground or the last truly global carbon-trading regime? Discuss the voluntary carbon market outlooks and trends with voluntary carbon experts, including Ecosystem Marketplace’s State of the Voluntary Carbon Markets 2010 co-author Molly Peters-Stanley, at the only event in Cancun dedicated to the voluntary carbon markets.